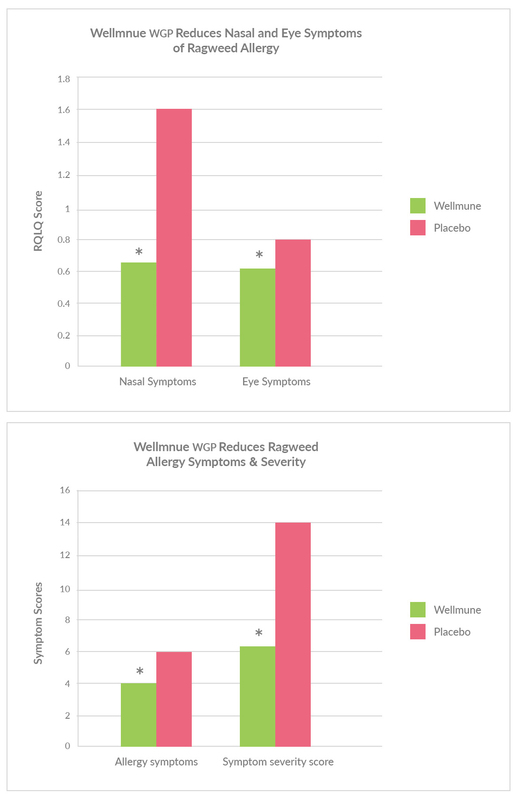 A placebo-controlled, double-blinded study found that Wellmune® reduced allergy symptoms and improved the quality of life of individuals who suffer from ragweed allergy. Ragweed is a leading cause of seasonal allergy symptoms and affects 36 million Americans. 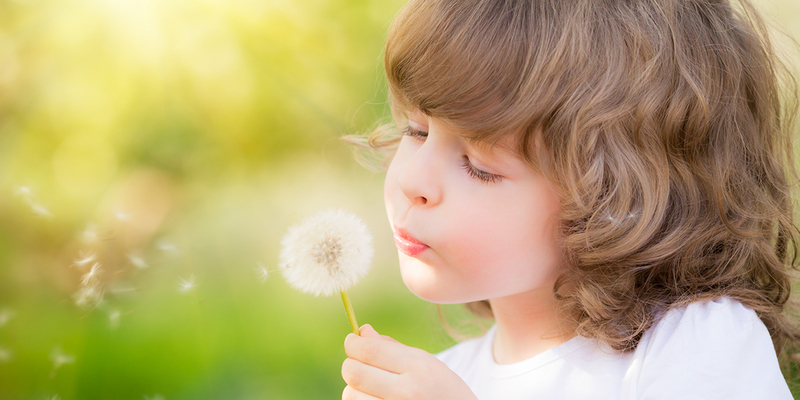 Typical symptoms include nasal congestion, sneezing, itchy eyes and difficulty breathing. The cause is an immune system overreaction to ragweed pollen. used to assess differences in allergy symptoms. • A27%reductioninaverageallergysymptomsand52%reduction in severity of symptoms. • Overallresultsdemonstrateda56%improvementontheQualityof Life Index, a scientifically validated tool for measuring how participants rate their overall sense of wellness.